“There is no sense of threat from Russia. We feel comfortable back-to-back.” A new deep dive by Bloomberg examining the growing closeness of Russia and China as both face down increased U.S. pressures and sanctions contains some deeply revealing quotes by analysts as well as a high official in the Chinese communist government reacting to Trump's trade war. 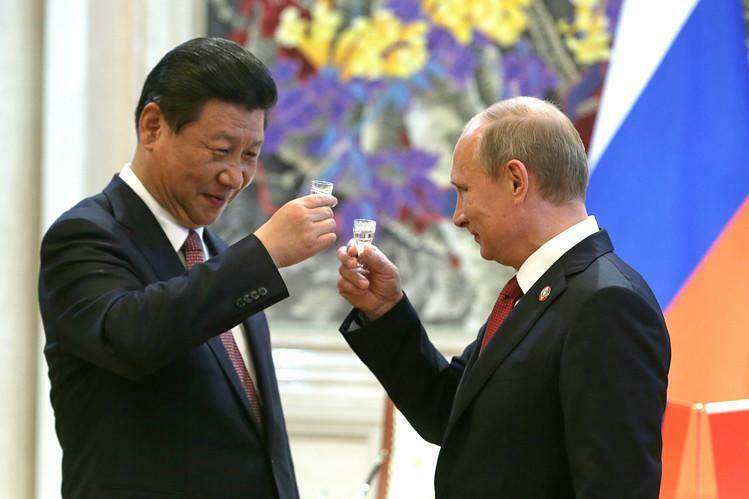 Russia and China, Bloomberg begins, are currently "as close as at any time in their 400 years of shared history." Chinese investment and energy purchases make it easier for Russia to resist economic pressure over Ukraine; Russian sales of oil, missile defense systems, and jets are changing U.S. calculations in the Pacific by raising the potential cost of any future showdown with China. And participants in a recent study by the National Bureau of Asian Research, a Seattle-based think tank, actually agree. They were asked whether American policy was at fault for pushing China and Russia into closer cooperation, and alarmingly, as Bloomberg notes: "Some among the 100-plus participants called for Washington to prepare for the worst-case scenario the realignment implies: a two-front war." China is now Russia’s biggest single trade partner. Increased coordination at the U.N. Security Council. The cooperative "NATO-lite" Shanghai Cooperation Organization. The "bromance" at recent summits between Vladimir Putin and Xi Jinping, who meet each other with increased regularity. Joint military exercises between the two are now routine. Increased willingness on the part of Russia to thwart Washington's argument that China is a threat to Moscow's aims in the East. 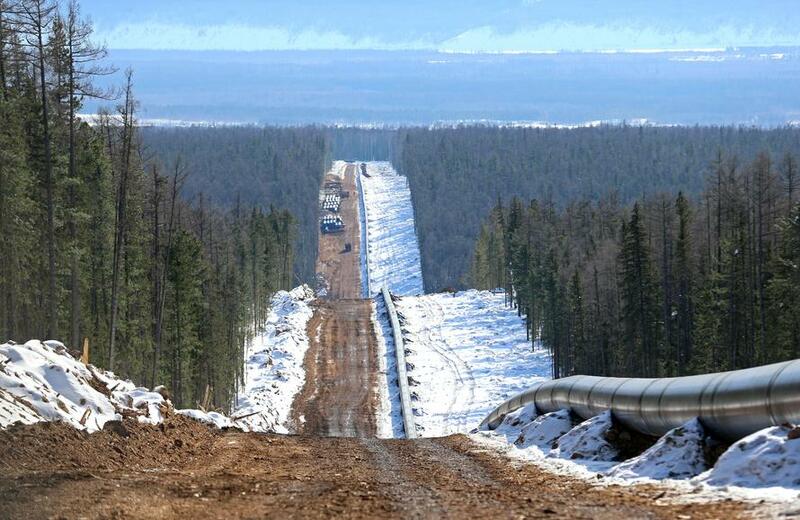 The new "Power of Siberia" natural gas pipeline set to start pumping 38 billion cubic meters (1.3 trillion cubic feet) of natural gas per year to northern China in December 2019. One observer of Sino-Russian relations and their increased military cooperation, Florence Cahill, recently summarized, “Both Beijing and Moscow are looking to demonstrate that trade wars and sanctions will only push them to develop new alliances." This echoes precisely what President Xi affirmed to Putin during their last major summit: “Both nations have to oppose unilateralism and trade protectionism, and build a new type of international relations and shared human destiny,” he said. It appears the blowback from Trump's trade war with China will be a hastening in this "new type of relations" between the two superpowers in the East — and it may soon reach a point at which the U.S. will have fewer and fewer options, but only to sit back and watch.